Kiefer Sutherland is "terrified" about returning to '24' and feels pressure for the new show to be as good as previous seasons. 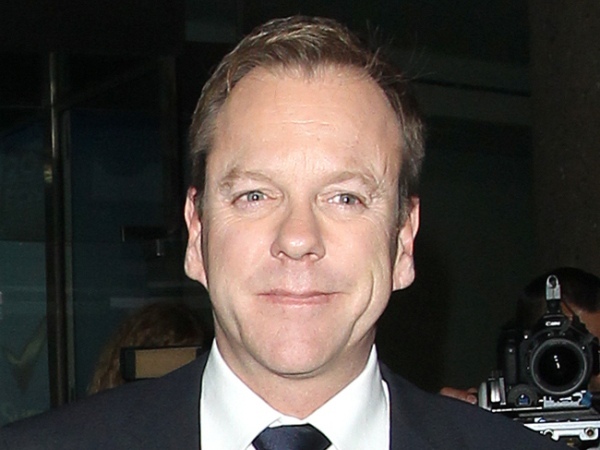 Kiefer Sutherland is "terrified" about returning to 24. The 47-year-old actor is reprising his role as terrorism agent Jack Bauer - who he played for almost nine years until 2010 - in 24: Live Another Day and is feeling the pressure to live up the previous eight seasons of the real-time drama. Speaking at the Television Critics Association's meeting at the Langham Hotel in Pasadena, California yesterday on Monday, he said, "I'm terrified. I won't lie to you. Until we start shooting, I'm about as anxious and wound up as I've been in a long time. I'm very nervous. Without patting ourselves on the back too hard, we made eight very strong years. We always would look back every season and wish something had been better, but I was very proud. So to make 12 more episodes and not make them the best 12 we've ever made, I'm terrified." The series - which will run for half the length of time than previous seasons with just 12 episodes - will begin filming in London in the coming weeks and the actor, who was born in the city, is "anxious" about getting back to work. He said, "I've spent big chunks of my life there, but I'm anxious. We plan to be shooting outside. I'm sure we'll be hated by a large portion of London for snarling up their traffic, and for that I apologise in advance."